Given the childhood obesity epidemic, there’s plenty of debate right now about the role of dessert in kids’ lives. But one problem we have with the central question (Let them eat cake?) is that it assumes that the dessert in question is some ooey-gooey, over-the-top, triple-chocolate-fudge, Oreo-frosted creation. That led us to ask: Whatever happened to the humble old “snack cake”? Jolly Tomato’s mother, who hails from the Midwest, used to make at least one of these moist, single-layer unfrosted “snack cakes” or “snacking cakes” each week: applesauce cake, spice cake, date cake, apple cake, you name it. (Our little brother used to refer to them affectionately as “brown cakes.”) When you size them up next to a triple-layer frosted behemoth, they look quite humble by comparison. But for a no-frills everyday snack or dessert treat, they are more than adequate. They’re plenty sweet to satisfy a sweet tooth without sending a person into diabetic shock – and they pack well in a lunch box. What more could you want out of a cake? 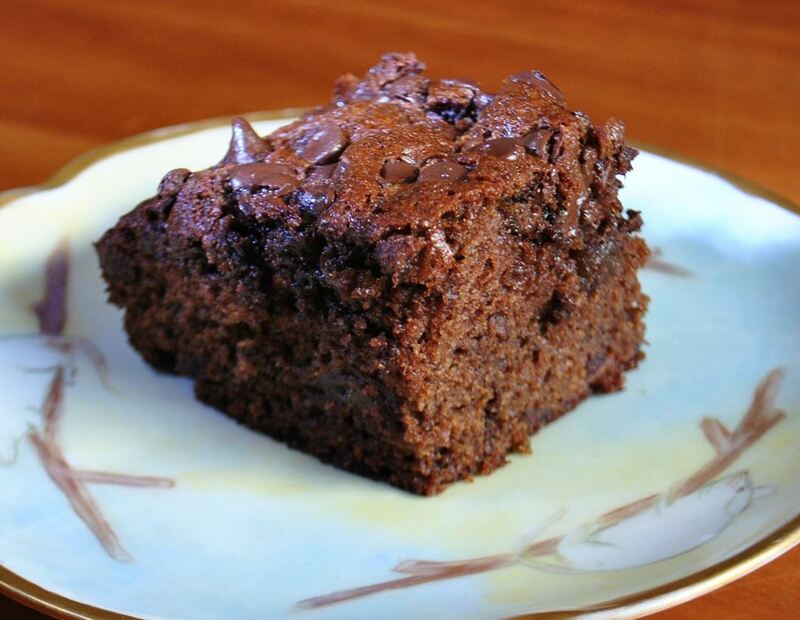 One of our longtime favorites is an old-timey treat known as Westhaven cake, made sweet and moist by chopped dates and a handful of chocolate chips. 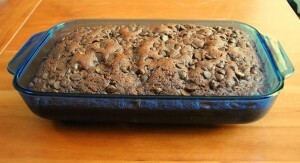 We pumped up Mom’s recipe by substituting some whole wheat flour in addition to the old-fashioned white flour, and the result is just as tasty, with a hearty and slightly nuttier flavor. Place dates and hot water in a small bowl, allow the water to cool. Preheat oven to 350 degrees. In a large bowl, cream butter, sugar and eggs, and set aside. Sift dry ingredients together into a medium bowl. Add sifted dry ingredients alternately with date mixture to creamed butter/sugar mixture. Stir until ingredients are just mixed. 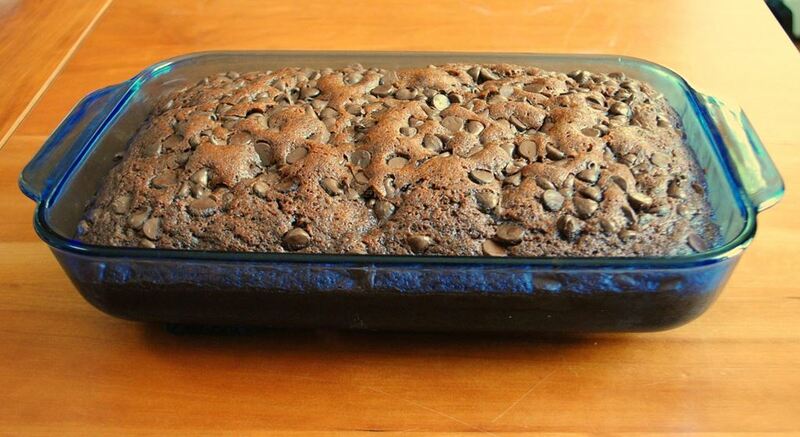 Pour batter into greased 7×11-inch pan and top with chocolate chips. Bake for 40 minutes, or until toothpick comes out clean. Looking for more simple desserts? Consider fruit skewers, homemade popsicles, fruit smoothies, or any of these healthy dessert ideas. And remember: It doesn’t have to have three layers of frosting for it to be fun. That looks so moist and perfect for grabbing and snacking, you’re right. Who needs more when you’ve got a few choc chips? Love them – love this! What a cool idea! I’ve never heard of that, but anything that can make cake simple, healthy and still be nice and sweet, definitely gets my vote. Great post. Kids will eat the healthy stuff without the goop of frosting. Yum! Can’t imagine any kid not loving this!